Our heartfelt condolences to Imam AlMahdi (ATFS) and the entire Muslim Umaah on the tragedy of Karbala and the martyrdom of Imam Hussein AS and his companions. 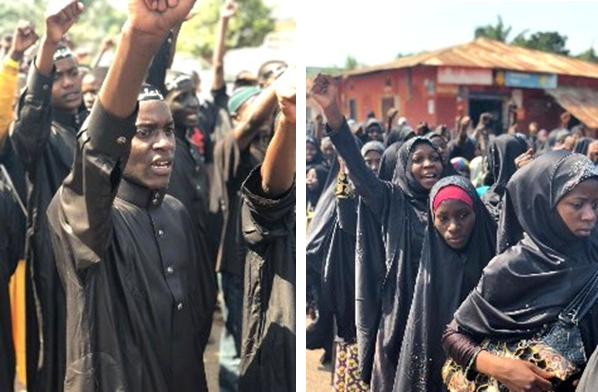 Bilal Muslim Mission of Tanzania- Kigoma Branch joined muslims around the world to commemorate the Shahadat of Imam Hussein (AS) the grandson of Prophet Muhammad (SAWW) at all Bilal centers in Kigoma Region. 75 female students from Hawzatul Bibi Khadijatul Kubra (AS) accompanied their Mubalighaat to conduct Majalises and Tabligh activities at all BMMT centers in remote villages for 12 days. 70 male students from Hawzatul Bilal Kigoma and Mwandiga were assigned for Majalises, Mataam and Tabligh activites for 12 days at 30 Shia centers in remote villages of Kigoma region. The mumineen and muminaat at grassroots level have been able to understand the Tragedy of Karbala through lectures with question and answer sessions. 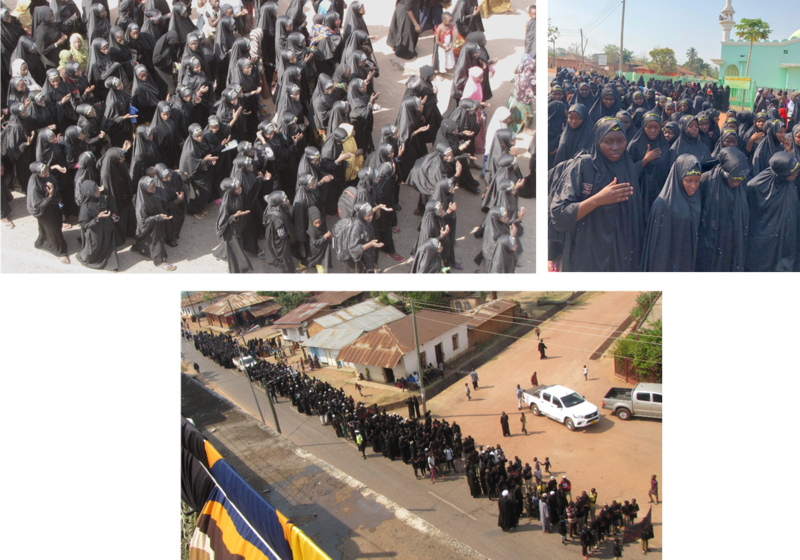 On the day of Ashura, a grand Juloos was organized by BMMT and KSI Kigoma Jamaat. The juloos started at the 100 years old KSI-Ujiji Masjid to the Ahlulbayt Academic Islamic Center. Ashura Majlis, Mataam, and blood donation drive was conducted. Approximately 2000 participants were served with Nyaz and Sabeel E Hussein. 2000 Black T.shirts with the message of Karbala. 600 Black Hijabs for Ladies and Girls. 110 Black Khanzus for Students and Mubalighs. Kiswahili Books on the History and Tragedy of Karbala, Labbayk ya Hussein. 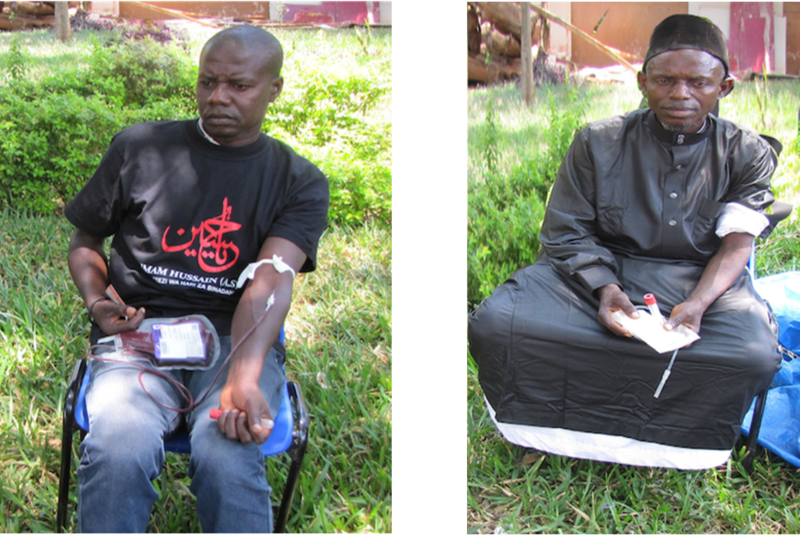 Nyaz was served for 12 days at 25 BMMT Centers. We take this opportunity to thank the World Federation, Africa Federation, The Mainstay Foundation of UK, Khoja Shia Ithnaasheri Jamaat of Kigoma, Ahlulbayt Islamic Center and other donors for their donation and assistance towards the commemoration of the Martyrdom of Imam Hussein (AS), his family and companions at Karbala.